I was cleaning my Macbook Air at the weekend and think I might have damaged the screen. A vertical bar of inverted colours appeared on the left-hand side (the right was fine initially) but then both sides of the screen displayed as shown in the image. After about an hour of doing nothing, the bar on the left-hand side returned to normal but the right-hand side bar has been there since. Any ideas what has happened? It’s a 6-year-old machine but I’ve never had any issues with it until the weekend. Does the screen need to be replaced? Personally, I would tell you that the screen was broken. However, the bar on the left-hand side turn to normal, which confuses me. Still, if the problem persists, consider getting the computer fixed. I'm no tech genius here, though. I've just seen plenty of screens this way (usually smaller strips), and they never really fix themselves. 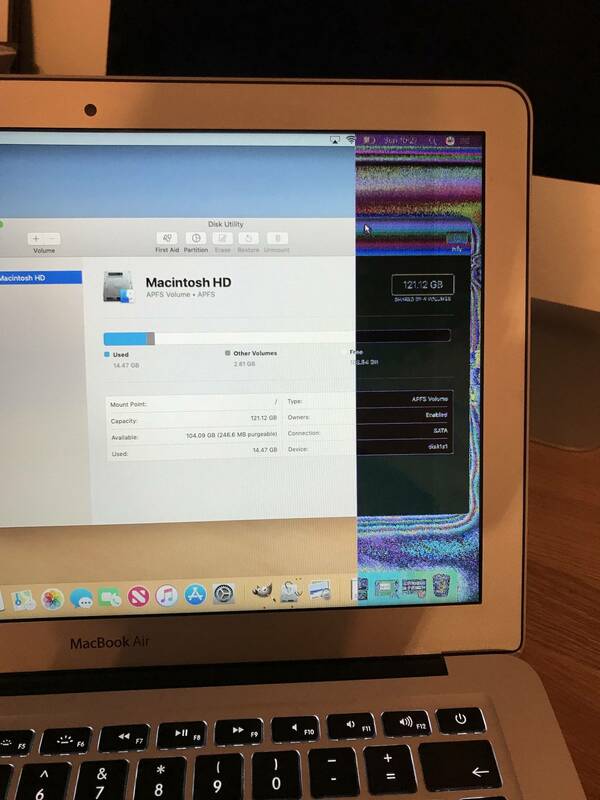 High Sierra's External Display bug heats Macbook's, damaged my Retina Screen, what can I do?